The universe is not just vaster than we imagine, but vaster than we can imagine. Scientists estimate the cosmos contains hundreds of billions of galaxies. In all probability, somewhere deep in space there is a sun much like our own, which is shining on an alien civilization that is quite likely very different from ours. Perhaps, this extraterrestrial society is far more advanced than we are. Maybe, they have mastered intergalactic space travel and have visited our planet. Most scientists believe we are not alone — that somewhere in the immense recesses of space there are other intelligent beings. Some contend that aliens have visited the earth and that our government is hiding evidence of their existence. Indeed, here are five recent signs that we will soon discover that extraterrestrial life is for real. According to polls, 80 million Americans — about one-third of the population — believe in the existence of aliens. Recently a flurry of former high-level government officials have come forward with tantalizing comments. They indicate that major governments know more about extraterrestrials than they are willing to acknowledge. For example, recently John Podesta, former chief-of-staff for President Bill Clinton and an advisor to President Barack Obama, added his name to a list of A-level government figures who have made comments that have hinted that there is classified info about aliens being withheld from the public. Podesta is hardly the only credible government figure to come forward. In 2005, Paul Hellyer, Canada’s former defense minister, became the first prominent ex-official to openly accuse the major world governments of deliberately withholding information that would confirm the existence of extraterrestrial life. Recently, speaking at the University of Calgary, Hellyer insisted, “Aliens have been visiting our planet for thousands of years,” but he lamented that “much of the media won’t touch [the documents]” and that governments won’t come clean until the public demands the information about UFOs that is being kept hidden. 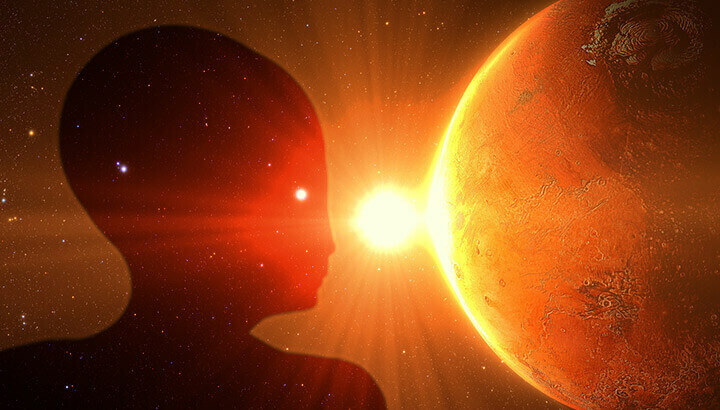 Many of Hellyer’s claims seem far-fetched — namely, that some alien species originated from Mars, Venus and one of Saturn’s moons. But he insists that extraterrestrials have helped humans develop technologies such the microchip, LED lights and the Kevlar vest. Is it possible that NASA’s scientists discovered life on Mars in 2007? Recently, news reports have surfaced that researchers examining Martian rover data — the unmanned space probes sending photos and atmospheric samples back to earth — may have found evidence of microscopic life on the red planet. Apparently, the Spirit rover, which landed in the Gusev crater near the Martian equator, photographed “finger-like” rock formations called stromatolites, which are formed when microbial colonies are trapped in moist sediment. In addition, in 2014, another of NASA’s rovers recorded evidence of methane gas. In fact, over 90 percent of methane gas found on earth is produced by living organisms, leading to the possibility that some microbe life forms may still exist on Mars. According to astrophysicist Dan Brown of Nottingham Trent University, “Finding live on Mars or even the past presence of life has been a driving goal and infamous challenge for missions to Mars.” Unfortunately, the Spirit rover, which discovered the distinctive silica patterns that have so intrigued scientists, was decommissioned after it got stuck in the Martian soil. It will be 2020, at the earliest, before the next rover probe is launched to do a follow-up mission. SETI is a non-profit scientific institute dedicated to discovering the origins of the universe and searching for evidence of extraterrestrial civilizations. In particular, the organization uses a network of radio telescopes to try and detect signals that may indicate the existence of intelligent life somewhere in deep outer space. Initially, other scientists did not know what to make of the findings. However, similar bursts have since been detected by the Arecibo facility in Puerto Rico. Researchers have dubbed these signals “fast radio bursts” of FRBs for short. No one quite knows what to make of them. They remain unidentified and unexplained, but of tantalizing interest. Dr. Eric Haseltine is a neuroscientist who also served as the U.S. Associate Director of National Intelligence in 2006. He’s been asked by programs like 60 Minutes to speak on the record about UFOs and Area 51, where ET enthusiasts believe the government is hiding evidence of alien existence. Haseltine has declined to divulge any information that would violate his national security obligations. However, he has made it clear that the evidence he can talk about publicly strongly points in the direction that alien life has reached the earth. Haseltine’s comments focus on primitive forms of life — microbes, extremophiles and even insects — that may have hitched a ride to earth via a meteor. To begin with, Haseltine notes that scientists at the National Institute for Aging now believe that DNA itself is older than the existence of the earth. That suggests that the human journey may not have begun on earth, but somewhere else in the galaxy. In addition, Haseltine mentions several other intriguing findings, most notably a rock found in Antarctica that is believed to have originated from Mars. Some scientists believe the artifact, which cosmologists speculate may have been ejected from the red planet millions of years ago following an asteroid hit, contains fossil evidence of ancient single-celled organisms. At present, the scientific community is uncertain about the significance of the findings. However, other researchers have found evidence to suggest that microbes, spores and even hardy insects could survive interplanetary travel via meteors. Microbes from outer space may not be quite as exciting as Martians, but the confirmation of any extraterrestrial life forms will be profound. NASA’s Kepler space telescope is designed to detect earthlike planets orbiting stars. Recently, it discovered a strange anomaly orbiting a sun designated KIC 8462852. Astronomers are not quite sure, but something is causing the starlight from KIC 8462852 to dip and then burst. Researchers have ruled out a variety of possible natural phenomena, leading some scientists to speculate that the most plausible explanation is an alien megastructure, possibly designed to harness solar power, orbiting the star. Claims about evidence for aliens can range from sensationalistic to scientifically respectable. So, I reached out to a researcher with down-to-earth credentials and a lot of credibility when it comes to the search for extraterrestrial life. Vogt’s confidence is echoed by other highly respected scientists too. For instance, “I think we’re going to have strong indications of life beyond Earth within a decade, and I think we’re going to have definitive evidence within 20 to 30 years,” insists Ellen Stofan, NASA’s chief scientist. In all probability, there will be some earth-shattering findings and revelations ahead. The evidence is accumulating that we are not alone.